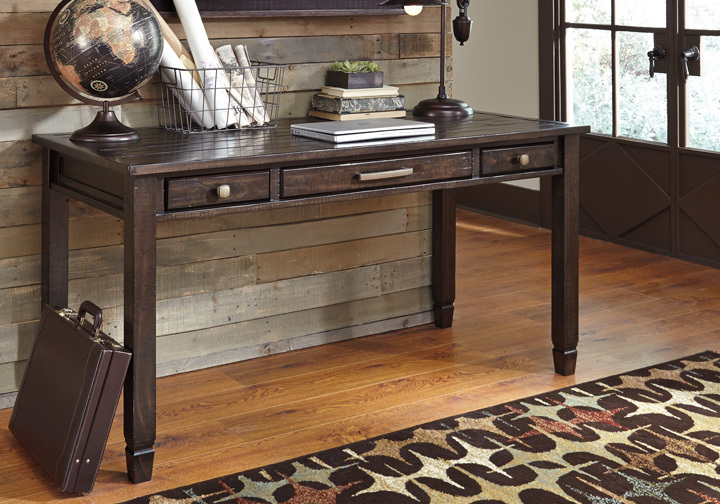 Inspired by the timeless appeal of American classic furnishings, the Townser desk set revisits tradition in style. Rough milled pine wood is naturally textured and enhanced by a deep finish with gray undertones. 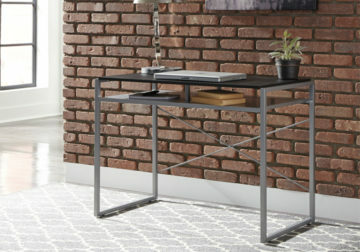 Three smooth-gliding drawers provide just enough storage space. 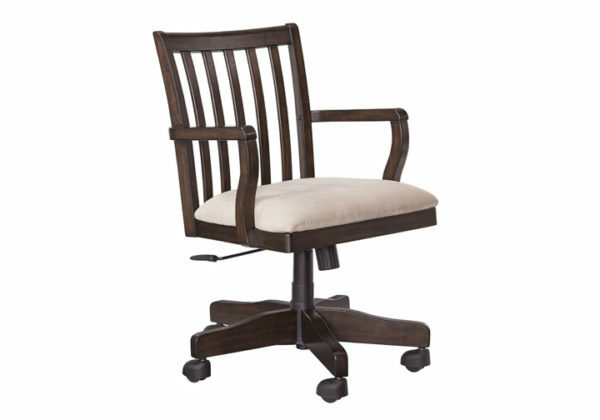 The Townser swivel home office chair embodies the quintessential style with a sumptuously cushioned seat, 360-degree swivel and adjustable height/tilt feature. *The desk set consists of a desk and office chair.